212 Bank St, Suffolk, VA 23434 (#10240548) :: Abbitt Realty Co. Updated LOVELY 2240 Sq. Feet of CHARM AND 1900's COLONIAL CHARACTER!! 4 Bedrooms with 2.5 baths. 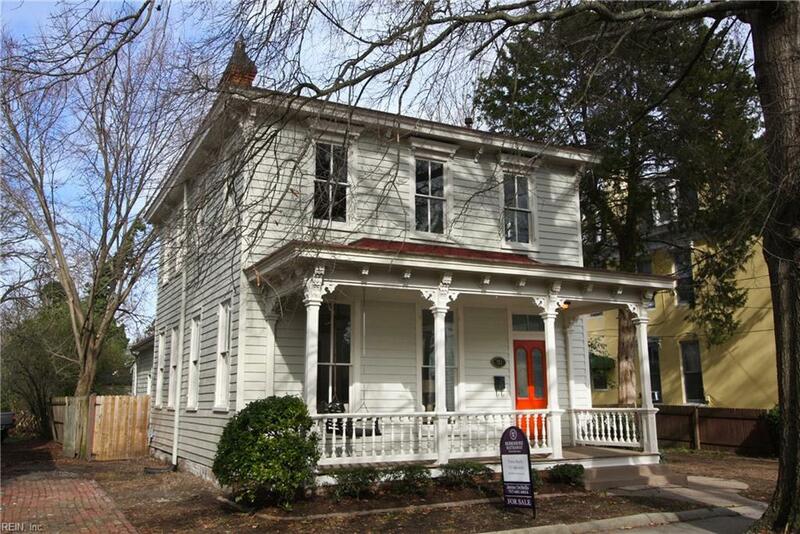 .20 acre lot.Imagine a restored home within close distance of HISTORIC DOWNTOWN SUFFOLK! 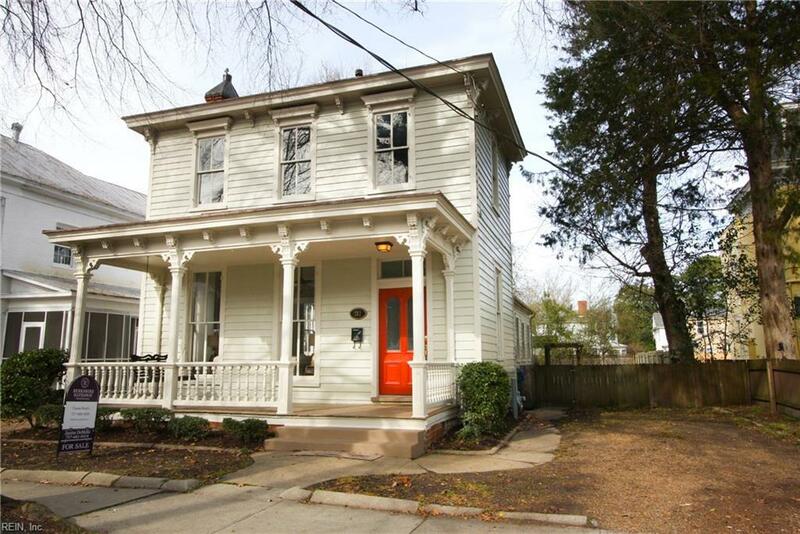 Historic homes pepper this lively block of the up and coming area of downtown Suffolk! Numerous gourmet restaurants, shops, banking and medical are steps away. Move in ready downtown living? Investing in a Air BnB property? 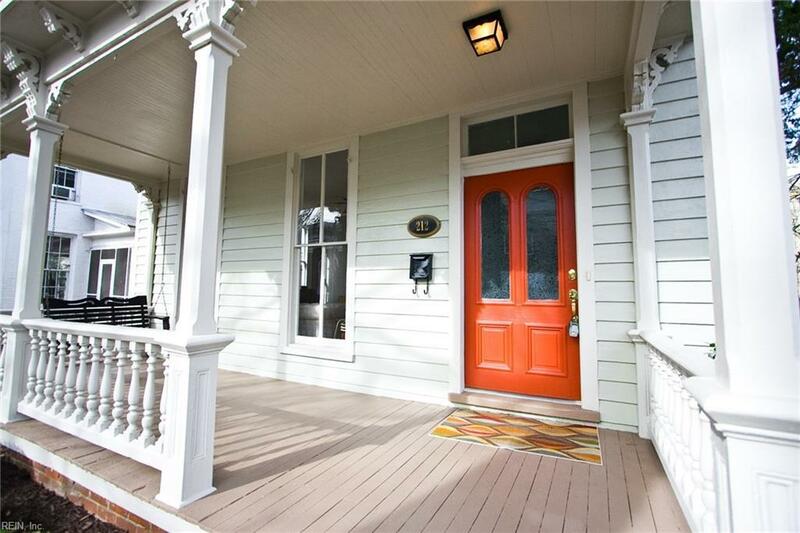 Or, simply looking for and updated, yet historic home that oozes with charm! 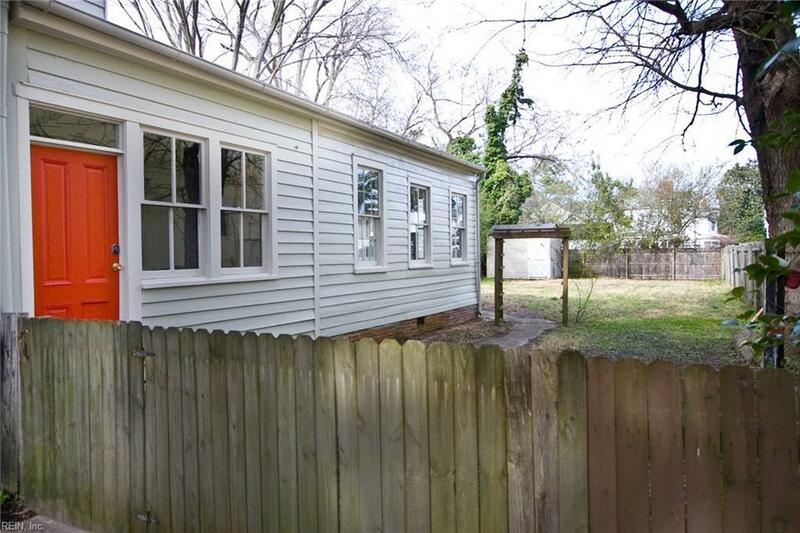 LARGE fenced lot with off street parking. Deck and storage shed. Formal Living room opens to additional flex space. Large, historically preserved ripple windows. Many trims and architectural features have been preserved. Home even boasts a "mud room" which offers alternative 'entry'. This home is a MUST SEE!